Azure Websites will disable SSL 3.0 for all sites by default to protect our customers from the vulnerability mentioned before. We are rolling out the changes across our data-centers and monitoring traffic in the process. The changes will be rolling out through the week of Monday October 27th, 2014. 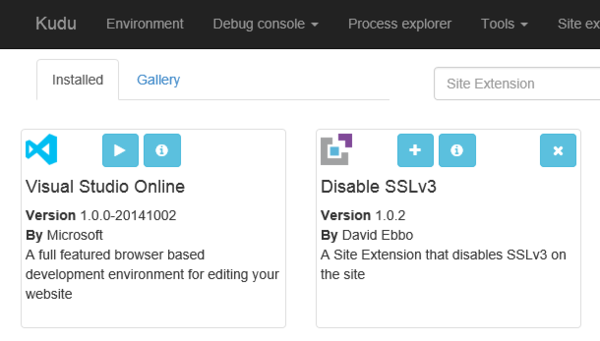 Once this is complete, customers will no longer need to take any action to disable SSL 3.0 in Azure Websites and should have protection by default.